At the Coca-Cola office in Gurgaon, Tripti Jain has always been known to bring passion to everything that she does. When she talks about any sport, love for the game shows in her eyes. At work, she has to plan and execute strategies as part of the key accounts team. She is often seen rushing from one important meeting to another, as she squeezes time in between for calls with important customers. Speak a line about sports with her and she has a smile on her face. As part of the global finance operations, Aman Khandelwal’s role requires him to keep track of hundreds of things together. 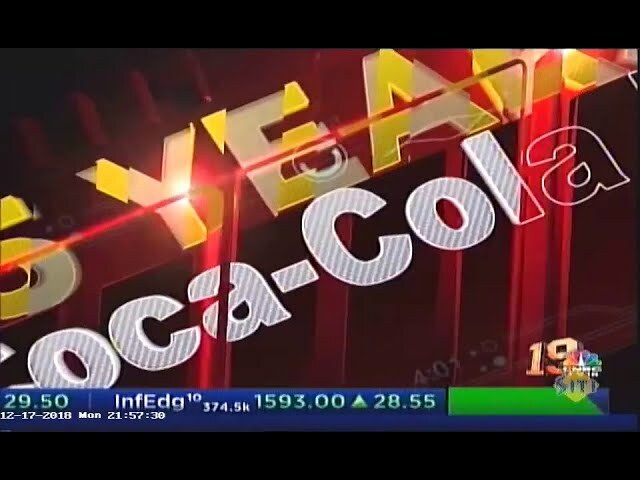 Tracking a number of details for the finances at Coca-Cola India, Aman makes sure that every little detail is in place and compliances are adhered to. In April, the entire office of Coca-Cola is busy because the peak season for products is well underway. That did not deter the participants like Aman and Tripti to take out time for the third edition of the intra-office table tennis tournament at Coca- Cola at Gurgaon. Work can, sometimes wait while fun (and competitive spirit) takes over. Only those who were interested in sport were watching the contestants play. But the small crowd did not matter to the players. There was intense competition for the top honours for the men’s and women’s singles and doubles, besides the mixed doubles. “I love healthy competition and love to win. I don’t just play for fun but want to win”, Aman says, having beaten the opposition as he went on to claim the men’s singles title. Aman had picked up the table tennis racquet only about two years ago, since he noticed that he could occasionally take out time at the office to play a game or two while taking a few minutes off work. Soon, he had joined the club at his residential complex. A WhatsApp group of likeminded people in his apartment complex followed and table tennis has become a part of his routine. Tripti, in comparison, had entered the fray with a track record in the sport. She had played table tennis during the KVS nationals and at the university level when in college. When she was swinging the racquet, the spin she could generate on the coloured ball was a joy to watch. The experience showed and, often, left the opposition foxed. Her attacking smashes, smart returns and the ability to outthink the opposition helped her with the top honours in the women’s category. In the final match of the women’s singles, she beat Alka Shukla in a thrilling match. Shweta Chakravorty and Naval Kastia had registered for the tournament for the mixed doubles section. Like several others in the fray, they were hoping to click as a team. As they met Tripti and Manoj Singh in the final, they clicked better as a team – winning the final. The intra-office tournament was not just for fun. A professional referee, Sunil Kumar Hanslas, who runs a professional table tennis club in Gurgaon, had been invited to supervise the matches. He has himself been a player in his younger days. Before each match, he would undergo a process to choose who would serve first and the rules of the game were followed in letter and spirit. There were curious onlookers, some of who stopped by on seeing the quality of the players, as they caught a few minutes between their own hectic schedules. Some of the rallies drew oohs and aahs from the onlookers too, as each point was fought for. As the prizes were given away to the winners, the importance of building teams, having the drive to win and creating a fun workplace was not forgotten. For a brief while, important work had to be put aside for all participants since participating and trying to win was the driving factor. “Sports help break barriers and bring out the winners from amongst us. It was wonderful to see the spirit of competitiveness among all those who participated,” Manu Narang Wadhwa, Vice-President, HR, Coca-Cola India and South West Asia, said after the tournament.